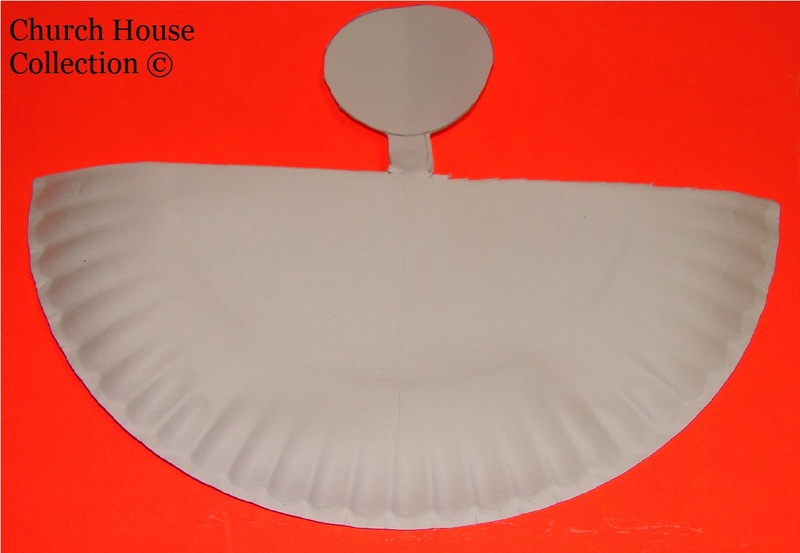 Fold a basic paper plate in half. Draw a tab about half an inch wide and half an inch long from the center. Draw or trace a circle above the tab. (See picture) Cut it out and decorate. 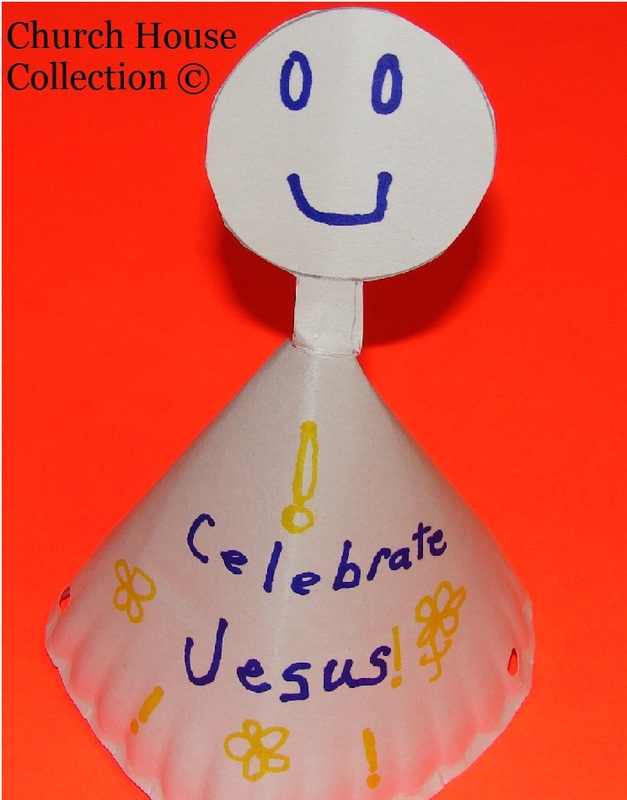 We wrote celebrate Jesus on ours. You can get as creative as you want to on this and even change the circle to another shape such as a flower or a heart. When you are done decorating, fold the paper plate half like a cone so the bottom edges overlap but line up evenly along the bottom. Staple this in place. Punch holes with the hole punch on the left and right sides of the hat. Tie elastic cord in the holes to keep the hat in place. Wear the hats to celebrate having Jesus in our lives.